Abah's Landing Guards patrol the streets of Abah's Landing. 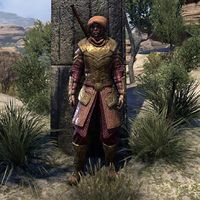 They are members of the Tamriel Guard. 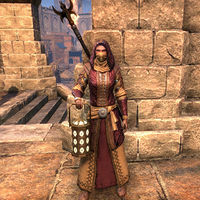 While most have the same behavior as other guards across Tamriel, some holding torches can detect you while sneaking and have their detection radius indicated by an illuminated circle on the ground. This page was last modified on 6 September 2018, at 05:11.